Set in the Klondike Gold Rush of the 1890s, the protagonist of this short adventure novel is Buck, who is part sheepdog, part Saint Bernard. Kidnapped from a ranch in the Santa Clara Valley, Buck is sold to dog traders and sent to Yukon, Canada, to become a sled dog. Buck is taken aback by the harshness of life in the Klondike, which stands in stark contrast to his life in California. He soon begins to embrace that harshness to survive: “the law of club and fang.” When he’s confronted by a pack of wolves, he eventually answers “the call of the wild” and becomes their leader. 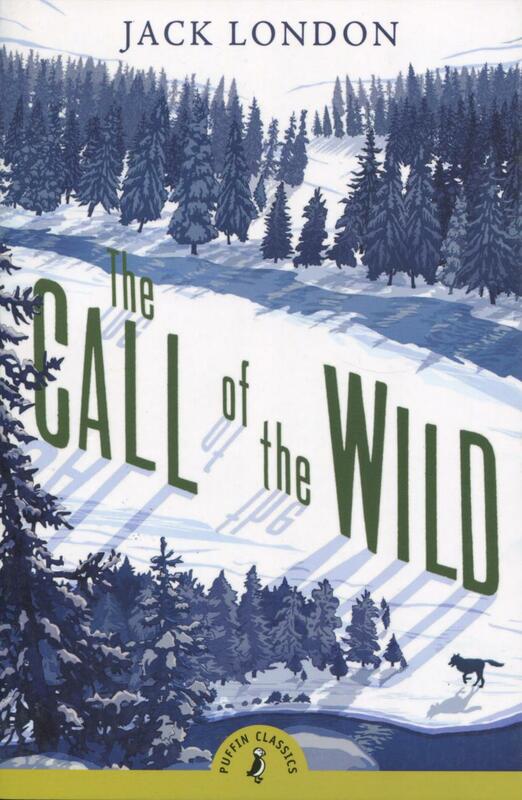 Written at the turn of the 20th century, the novel reflects the anxieties of the end of a century of rapid industrialization and urbanization; like characters like Rip van Winkle and Huck Finn, Buck represents American pastoralism, in which a hero returns to nature. Jack London was born in 1876 in San Francisco, California. His mother was from an aristocratic family, and his father is believed to be an astrologer who left his mother when she chose to keep the child. London’s mother attempted suicide while pregnant; after his birth, he was handed over to Virginia Prentiss, a formerly enslaved woman who would go on to raise him. He left school at nine, and worked a wide variety of jobs, from a cannery to a laundry to a jute mill. He bought a sloop and became an “oysterpirate”; he rode the rails as a tramp. In 1897, he traveled to Alaska seeking fortune in the Klondike Gold Rush. He didn’t strike it rich, instead contracting scurvy, but his experiences there were fodder for The Call of the Wild, his most famous novel. He published dozens of novels and was an influential figure in what would become science fiction. He was a member of “The Crowd,” a San Francisco-based radical literary group that advocated unionization and socialism. Today his Sonoma County farm, Beauty Ranch, remains a model of sustainable agriculture.